NEC calls the NP-M402X portable, and, indeed, it's light enough to carry if you need to. It even ships with a soft carrying case. But it's also heavy enough, at eight pounds, not to mention bulky enough, at 3.5" x 13.4" x 10.1" (HWD), to make it more appropriate for permanent installation or room to room portability on a cart. 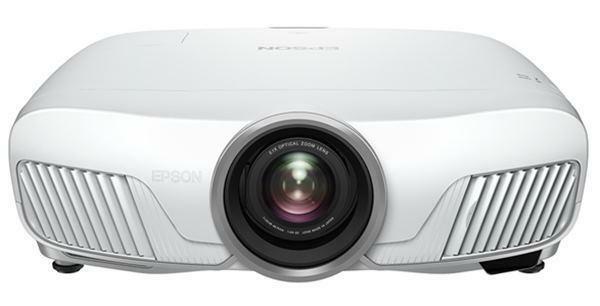 Built around a 1024x768 DLP chip and rated at 4000 lumens, although it came in a little lower on my tests, it can be a good fit for a mid-size conference room or classroom. In addition to its brightness, the M402X delivers near-excellent data image quality, an audio system with enough volume for a mid-size room, and a 1.7x zoom lens that helps justify the $959 price. That's easily enough to make it a potentially attractive choice. 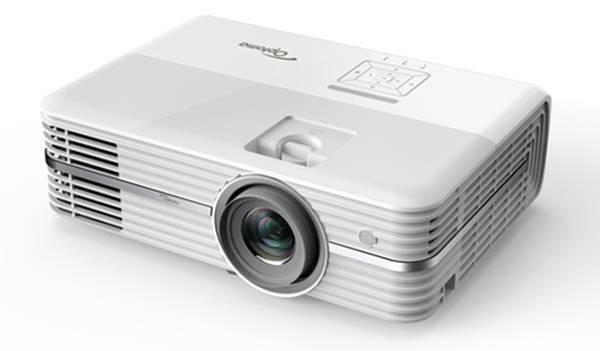 Image quality is a bit of a mixed bag, but the M402X handles data images like word processing and graphics well, which is the single most important issue for a data projector. Like the vast majority of DLP models, it shows occasional rainbow artifacts, in the form of red-green-blue flashes. With video, they showed up often enough, and were obvious enough, that anyone who sees them easily will almost certainly consider them annoying. However, I saw them infrequently enough with data and other static images that few people, if any, are likely to be bothered by them. Near-excellent data image quality. The M402X scored well for data image quality despite a moderate problem maintaining fine detail. Although black text on white was crisp and readable at sizes as small as 7 points, for example, white text on black lost readability at sizes below 10.5 points. This won't be a problem with programs like word processors, and it won't be a problem unless you need to show images with fine detail. But it could be a problem if you need to show complex line drawings with white or other bright lines on a black background. Very much on the plus side, the M402X did a good job with color balance. It maintained suitably neutral grays at all levels from black to white in every predefined image mode except the brightest, which showed a slight greenish tint in the brightest shades. Given that the brightest modes of most projectors have color balance problems, that's not really an issue, however. Color quality was also good. Yellow was a little mustard colored in all predefined modes and red was a little dark in the brightest mode, which is typical for DLP projectors. More generally, colors were nicely saturated and vibrant in all modes. Also on the plus side is that images designed to bring out pixel jitter were as rock solid with an analog (VGA) connection as with a digital (HDMI) connection. Problematic video quality. With a 1024x768 native resolution, the M402X's video quality is necessarily limited in crispness and in the detail it can show. Beyond that, I saw unusually obvious, and annoying, judder in clips with the camera panning across the scene, and I saw rainbow artifacts often enough and obviously enough that anyone in your audience who's sensitive to them will likely find them annoying. All this makes video best limited to short clips with the M402X, if you use video at all.